hot pink mini dress... check. super rad color blocked block heels... check. sparkling crystal squirrel necklace... check. okay! all set for spring, only 21 days to go! Side note: did ya'll realize it's almost been one full year of blogging daily desires? so many many outfits, so little little money? stay tuned for a happy anniversary treat! "Why are you such a tease you stupid bird?!" Anyone else totally ready for some nice bright saturated hues? Lindsay Lohan's courtroom dress has been much a buzz on the interwebs. 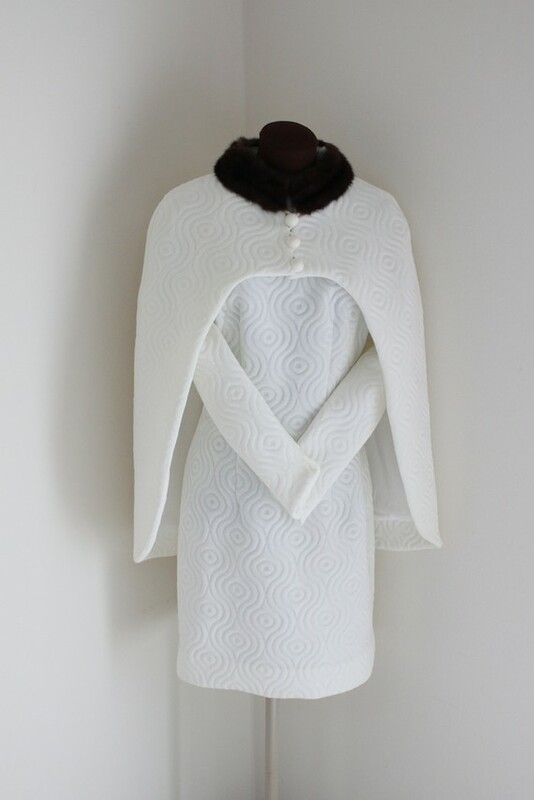 This dress by Kimberly Ovitz is hard to come by since, but why bother when you can get this vintage gem from Iron Orchid on Etsy! Not only is the Claralura Original way less expensive it comes complete with a super rad cape! I'm not usually a fan of one shoulderededed dresses because I am a super fan of proper foundation garments. I have yet to find a comfortable and supportive strapless/convertable bra. BioFit 7way monstrosity to wear this darling dress! Oh yeah, can I just say HELLOOOOOOOO summer sandals! Who's got $350 bucks I can borrow? This outfit is reeeeediculous. I know. 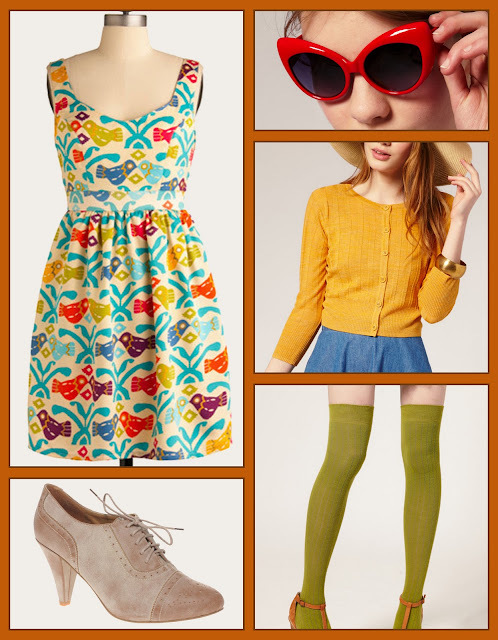 What level headed 30 year old would wear such a tart-tastic ensemble? I am so super over the winter that I am reverting to my early 20's. The amazingly talented Kristen Hudson Nichols posted another super lovely Haute Boudoir session this week! Have you checked her out yet? Well go ahead, clicky click right HERE! Totally perfect timing too since I was itching for an excuse to post some of the dreamy lingerie on BHLDN. 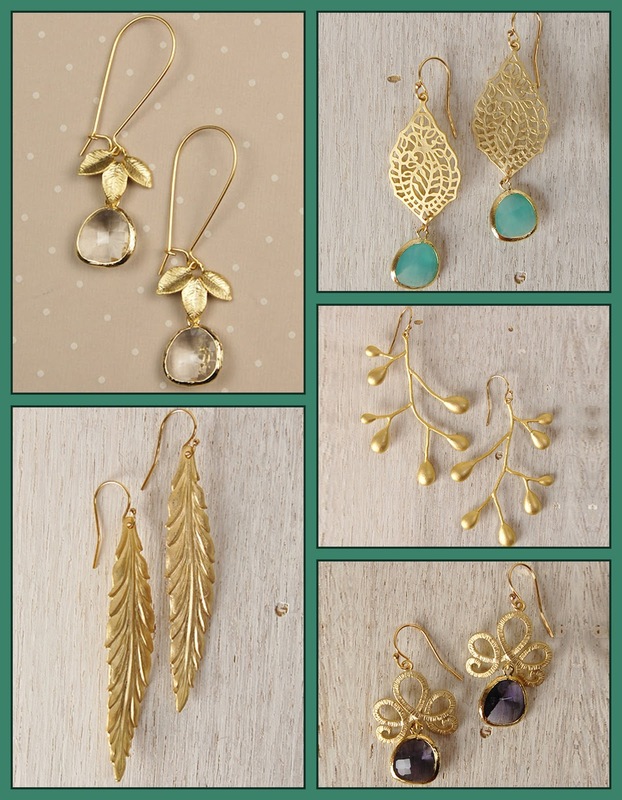 Came across these lovely earrings by TenThings on Spotted Moth. I am totes smitten with the Peony Earrings. Super Love! It's the moment we've all been waiting for! Well, okay, it's the moment I've been waiting for. 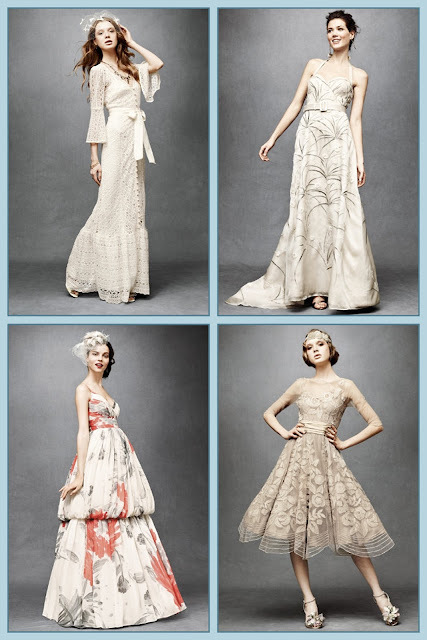 Today is the launch of BHLDN, a wedding site by Anthropologie. The goal of this bridal site? "Our goal, and the reason we drape, fold bustle and stitch, is to start a conversation with our customer—to build a resource where she can come to find inspiration and to share with those closest to her, as well as our broader coterie." this is a lovely addition to the bridal scene. Well, it's Friday. It's Fashion Week. It's cold. So sometimes I get all wrapped up in how fabulous other peoples lives are. I get grumblly, I get jealous, I get bitter. Now the nice logical side of my brain reminds me, "hey you, you silly jeally fool. those ladies worked hard to get where they are! keep on keepin on, you'll get there!" and then the poopie face emo side of my brain nags, "you're thirty. you'll never be a model. you'll never be at fashion week. you're blog is boring. oh yeah, you look like a boy and you need a hair cut, like 3 weeks ago. p.s. you have big feet." On mornings like these it takes all I have just to put on some jeans and a hat to cover up the reeeeediculousness of my hair right now. Sometimes to cheer myself up I cruise the interwebs for photographers portfolios to get a little pick me up. This morning I came across Corrie Bond and love love love these two shoots. Besides the obvious fact that they have super lovely models, super lovely photographer and super lovely stylists, I think they are particularly appealing because of the super lovely locations! All the flowers and sunshine! I am in ultra mega major flower/sunshine withdrawl. To see where I snagged these photos from and for more photos by Corrie Bond check her out HERE!! I'm ready for spring. Please? 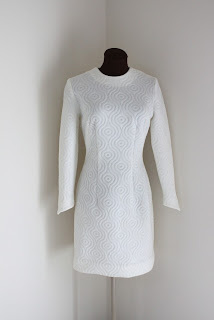 Came across this dress last night and said, "if only i was in LA right now, i would so rock out this vintage dream!" and then my husband yelled out from the other room "are you talking to yourself out there?" Aaaaaaanyway, this is my little ode to 70's LA rocker chicks. Week before last, one of my favorite bloggers and my absolute favorite floral designer (and let's not forget most importantly all around fabulous lady!) came up with a super fun idea. She suggested everyone post pictures of the flowers and plants around their houses the following Monday. Well, I missed it. Go figure. Making up for missing the fun-ness had by many, here is my week late and a dollar short post. 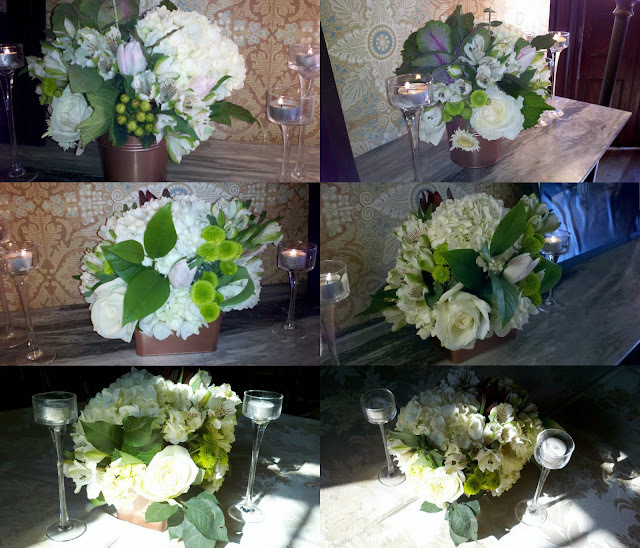 This past weekend was by BFF's baby shower and I decided rather than call Jane I'd try to do the flowers myself. While they are in no way shape or form as lovely as the masterpieces she comes up with, they turned out just dandy. "Lucky Ladybug", and bunch of assorted greens. All in all it came to $60.92 before tax! Not too shabby. 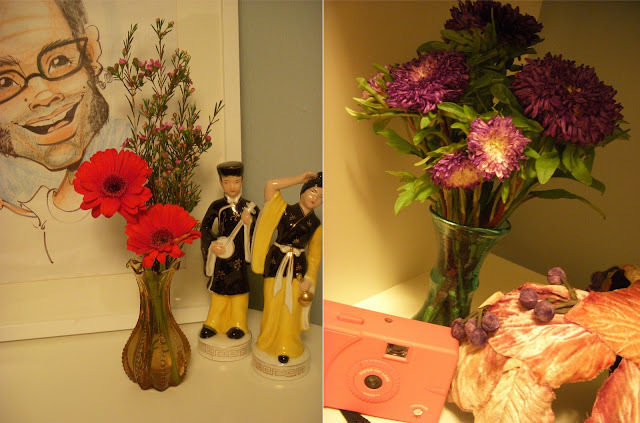 The first thing I did was pull out the bright pops of color and pop them in some antique bud vases. I always always always have cut flowers in my closet. I wanted the arrangements for the baby shower to be primarily white and green, perfect excuse to freshen up the slightly saggy week old flowers my room was sporting. Next up, soaking some wet floral foam in my kitchen sink. You can pick up floral foam at just about any craft store. I got mine at Michaels for $6.99 and used a 40% off coupon. Then I lined the copper tins with some plastic wrap, just in case. The tins were gifted from my friend Myra, not sure exactly where she got them, but she reassured me they were very inexpensive. 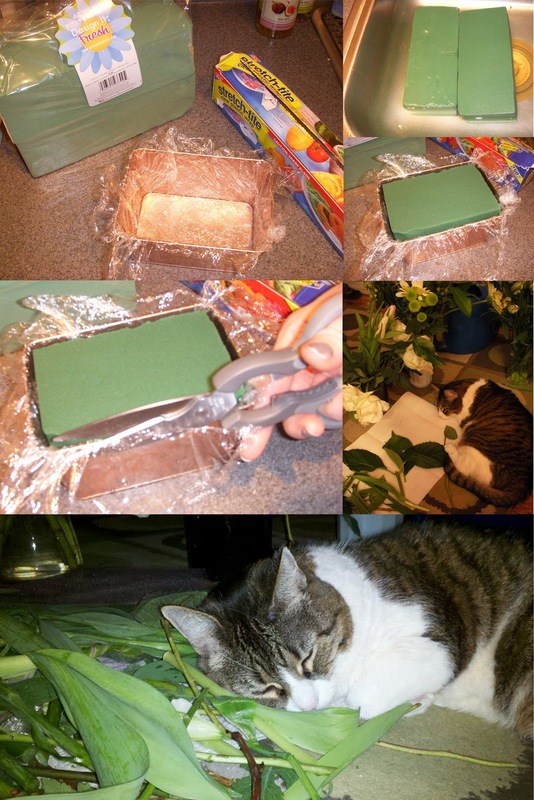 The foam cuts really easily, I used a steak knife, but you could probably even just use a butter knife! After I put the foam in the tin, I used some scissors to trim the plastic. Finally I recruited my assistant Audrey. As you can see, she was a great help. Normally I would like to think of the weekend as a time for relaxation, but this weekend is all about scheduling! Tonight right after work is the ModCloth party at Chief Ikes, then out to Virginia to do some last minute flyering for Cryfest. Tomorrow morning, rise and shine early so I can look presentable for the Belle-Aires competition. It'll be the first twirling competition (twirling!) I've been to in like 20 million years (in normal human time that equals about 10 years). Mom and I are going to see new babies and old friends. Then should be a lovely afternoon with Mom (aka the birthday girl! 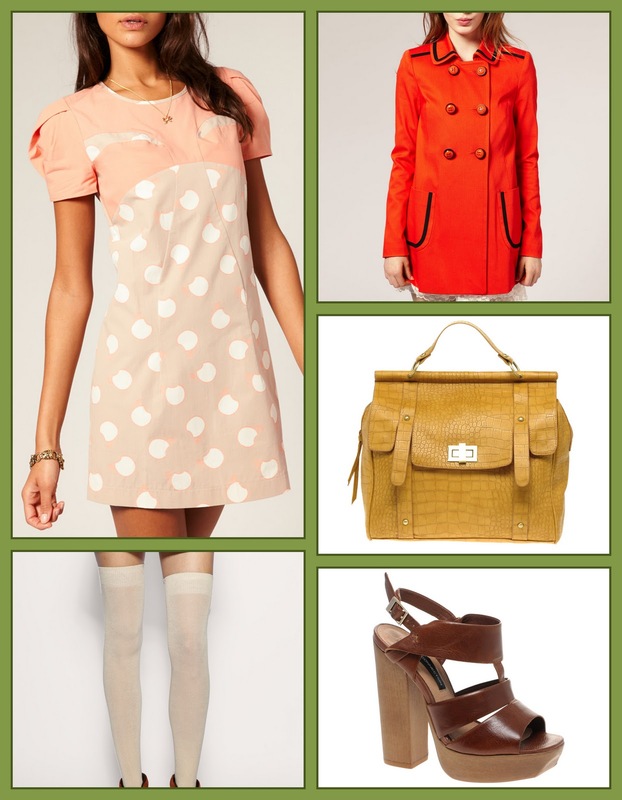 ), lunch and shopping? lunch and a movie? We'll see! 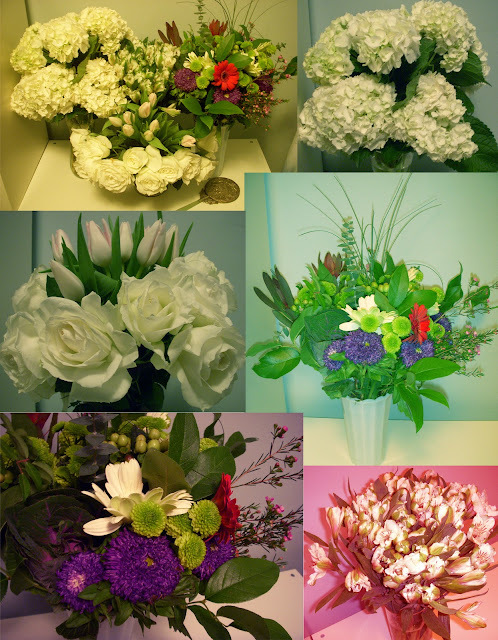 Then off to Michaels or JoAnns for some floral foam, then to Trader Joe's for oodles and oodles of cut flowers. Race home to grab some dinner before heading out to the Black Cat for Cryfest (You're coming right?) Set up all the visuals, change into a party outfit, and dance dance dance for a couple hours. Then head home early (well early for me, i'm normally at our DJ nights for the duration, gettting home around 3:30am) to get some sleep so I can wake up bright and early for (drum roll pleeeease) Heb's baby shower! Drive from this city to that city pick up the guest of honor go to the venue, commence flower arranging! Breathe... and enjoy myself. Whew... fingers crossed everything stays on schedule. Anyway, on to styling! 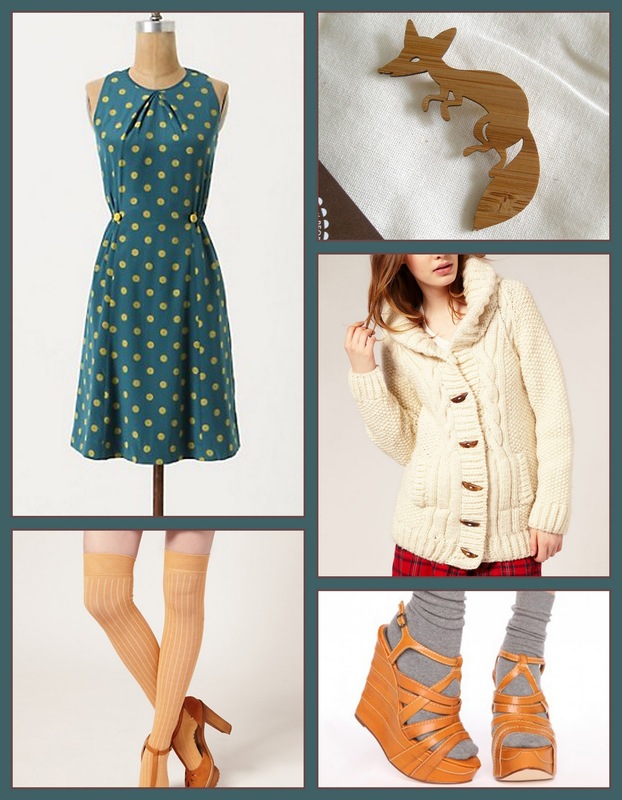 Since the ModCloth party is tonight, I thought I'd do another focus on their fab selection. 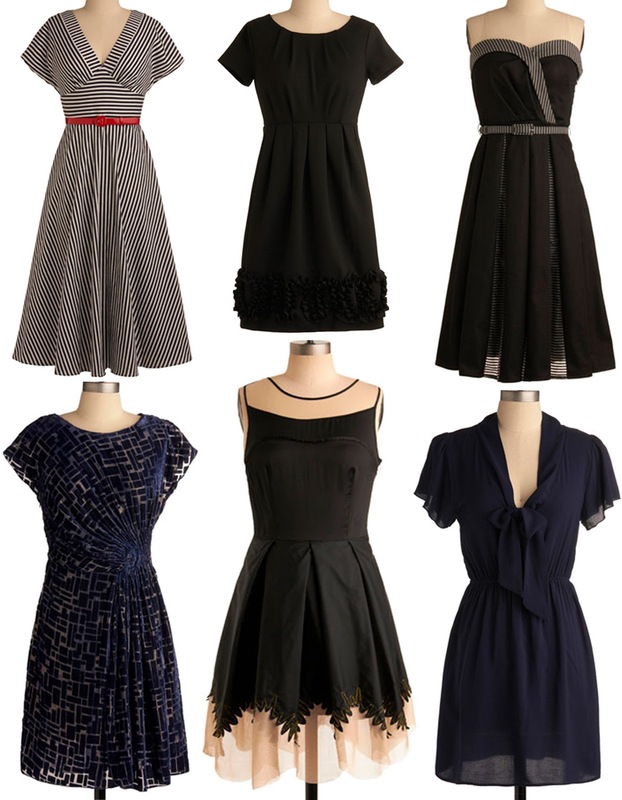 ModCloth is coming to DC to party in honor of The Written Wardrobe! Swing on by Chief Ikes tomorrow night from 7-10. There is no cover, but it is 21+ (sorry kiddies! ), and rumor has it there may be some free drinks if you come early. Unfortunately I can't make it early, but I'll be there eventually. Are you going? Find me and say hi, I promise I won't bite your head off (in the past i have been known to be quite frigid when strangers approach me at clubs, it's just a defense mechanism, sorry if you have ever been one of those friendly ladies. but fear not! i'm turning over a new leaf of niceness! i will be friendly just like you! maybe we can even take a picture for post-age on this here blog here, ya hear?) Anyway, in honor of the Pennsylvanians traveling south to party in the nation's capital, here are some of my current favorite party dresses from none other than ModCloth itself! It has been 9 months since I started redecorating my dressing room, and it still isn't finished. I have a really hard time picking stuff out (that I can afford! I have no problem picking out stuff way outside my budget, funny how that works...). My latest quandary, a wall clock. 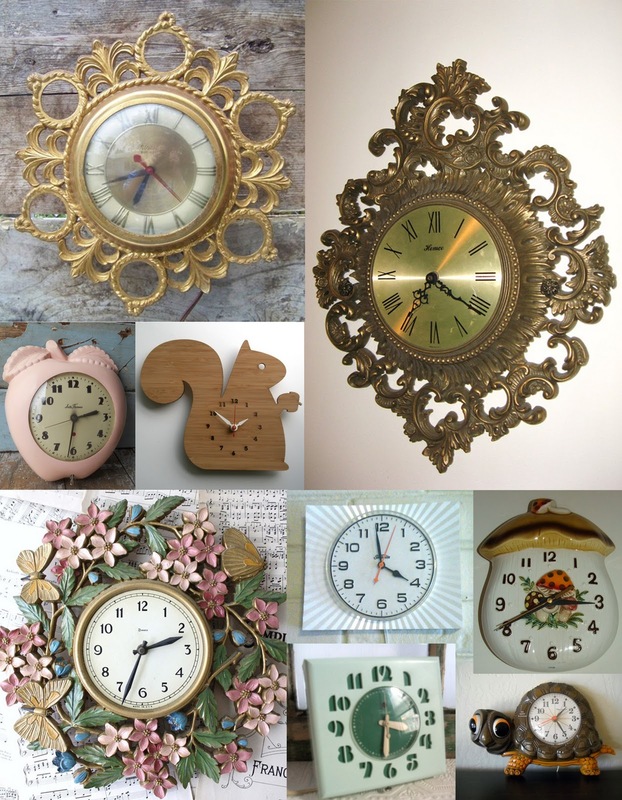 I need a clock that has number clearly displayed, and a second hand is preferred, but what direction to go in? What era? I just can't decide. Here is an assortment of some of the clocks I found on etsy that tickled my fancy. What do you guys think?? 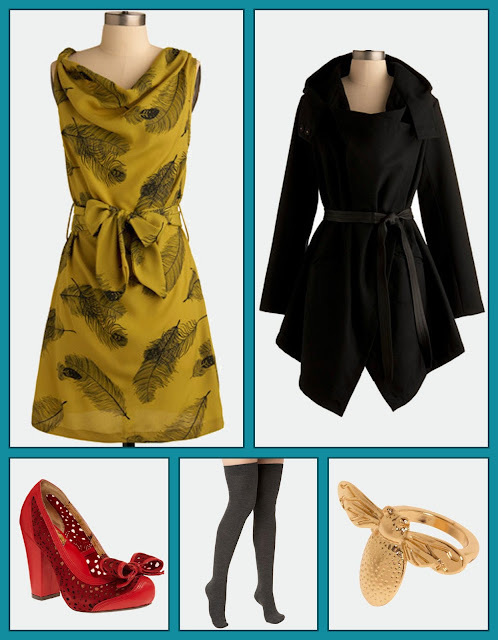 who can resist this darling apple dress?